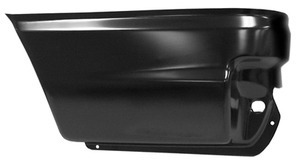 If you’re the owner of a 1992-2012 Ford full-size van, our large inventory of high-quality aftermarket parts at Raybuck Auto Body Parts has the selection of quarter panels you need to put rust damage in your rearview mirror. Best of all, our customer service department is here to make sure you get the right repair panels for your project. Feel free to contact us with any questions! Your 1992-2012 Ford full-size van is your workhorse. Whether you use it for family road trips or as your daily driver to and from jobs. But that can require driving at all hours through every type of weather and road conditions, so your van is regularly exposed to everything from road grit to slush to salt. Under even the best conditions, regular use means your Ford van quarter panels are susceptible to rust. Add exposure to salt spray and other corrosive debris to the mix, and your quarter panels are likely to rust even faster. Plus, since rust typically forms from the inside out, by the time you see bubbles on your paint’s finish, there’s often much more rust underneath. If you put even slight pressure on those bubbles, you’ll notice the rust goes all the way through to form holes. 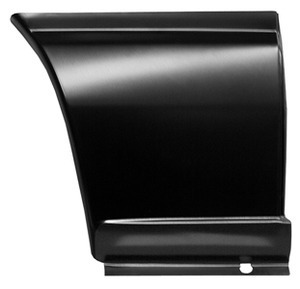 At Raybuck, we carry a full selection of front and rear quarter panels, as well as Ford van wheel arches so that you can repair all of your rust damage with the right replacement parts. For added confidence that you’re getting value for your money, all of our auto body panels come with an electro-deposit primer — or EDP coating — to make them extra-resistant to corrosion and rust until you’re ready to install them. This e-coating provides a black finish that can be scuffed and painted over. To ensure our panels are both high-quality and a good fit, the manufacturing process starts with a 3D scan of the OEM part and uses only the highest quality heavy gauge stamped steel so that the resulting part — of equal or greater thickness — is an exact match of its original. This means that you get a perfect fit every time. We also offer ZeroRust — a rust-inhibiting paint — for added protection against rust, along with a variety of undercoating options. For quality, expertise and service, there’s no comparison to ordering from our team at Raybuck. 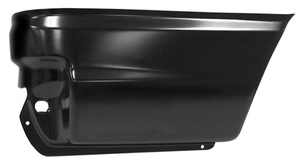 In addition to quarter panels, our inventory of 1992-2012 Ford Van panels includes rocker panels, door panels, wheel arches and more. Get exactly what you’re looking for at a fair price from Raybuck. For friendly, informed answers to all your auto body repair panel questions, contact us today.